The 27-strand stainless steel wire saw provides easy and quick cutting. 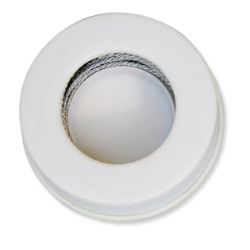 The 32' coil is packaged in a reusable plastic dispenser to prevent tangling. Thumbscrews lock the wire in place.